Whereoware is a digital agency with 18 years of experience developing behavior-driven marketing automation campaigns. They create personalized websites, and mobile SalesForce applications, and execute digital services, like SEO/PPC, data integrations, and sophisticated analytics. Pharos, a B2B e-commerce suite. Whereoware’s clients are B2B and B2C e-commerce and services companies, spanning industries from gift and home, apparel, lighting, furniture, recreation, technology. Notable clients include Mud Pie, Ferguson Enterprises, IBM, Pitney Bowes. Yearly, Whereoware sends over 1 billion emails on behalf of clients across industries. Whereoware partners with many email marketing and automation providers like Mailchimp, IBM, Episerver, and more. In 1999, CEO Eric Dean founded Whereoware as a marketplace for wholesale gift and home companies to sell their products to retailers. (Think: Amazon for wholesalers). This was when it was uncommon for wholesalers to have their own websites and sell products online. Eric Dean transformed Whereoware from a B2B marketplace into a full-service digital agency with over 95 employees, located in Chantilly, VA (outside of Washington, DC). Are you looking for an Whereoware alternative for your email marketing? We listed some Whereoware alternatives. Whereoware designs and builds personalized, optimized emails for a variety of B2B, B2C, and services customers. Whereoware has developed more than 2500 marketing automation programs for 250+ clients. Whereoware develops data-driven, personalized email campaigns based on interests, browse history, preferences, lifecycle, online behavior, and more. By delivering a relevant, personal message to each recipient, every email interaction is new, refreshing, and rewarding, incentivizing conversions and driving revenue. Whereoware built our extensive email optimization experience into a SAAS product, Code Perfect. 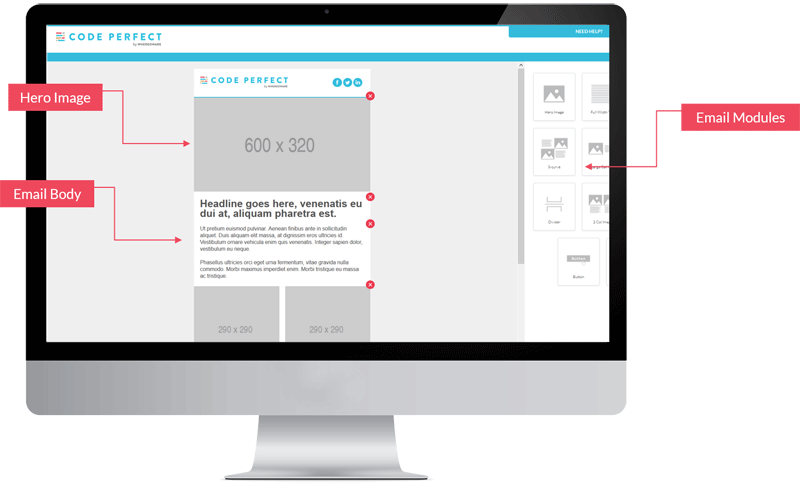 Code Perfect by Whereoware helps marketers design and develop error-free email templates in half the time. Whereoware works with each client to develop pre-tested, on-brand email modules and templates then onboards them into the easy-to-use dashboard. Think of these modules as custom email "building blocks" to swap in and out of email templates for endless design variety. By pre-testing all modules and templates across devices, marketers no longer waste time fixing line breaks or code issues, and instead are freed to focus on email content and optimization, increasing productivity and improving email quality. The email marketer logs into their Code Perfect dashboard and selects from their library of pre-tested code modules. 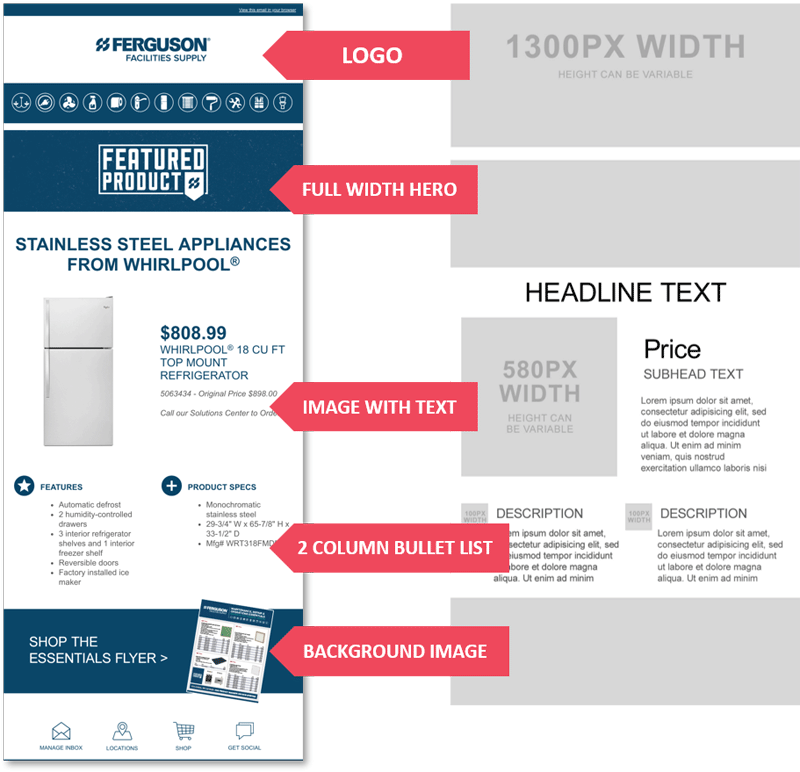 With each click, the email populates, and the marketer can reorganize or swap modules in and out. Once satisfied, they copy the pre-tested HTML into the ESP of their choice. Code Perfect works with any email service provider or marketing automation tool. Code Perfect email marketing teams benefit from the easy-to-use modules, limitless design options, and pre-tested code (so they don’t rely on email developers). In recent years, Whereoware has won more than 30 awards. In 2018, Whereoware won an Email Evolution Conference Excellence Award for an inventive email campaign; Episerver’s Digital Commerce Partner of the Year Award for our Episerver business growth; a Stevie Award for mobile sales app Spotlight; and a North America Customer Website Award for a personalized website for Yamaha WaterCraft Group. In addition to winning awards for each of our service areas, we have won a number of corporate awards. Examples of both include the 2017 SmartCEO Magazine Washington Executive Management Award, 2016 Episerver North American Ascender of the Year, 2016 Best B2B/Business Services Agency in Ragan and PR Daily’s Ace Awards; 2016 DMA Innovation Award, 2016 eec Email Marketing Program Award, 2016 Smart CEO Corporate Culture Award, and 2015 IBM Beacon Award - Outstanding Smarter Commerce Solution.